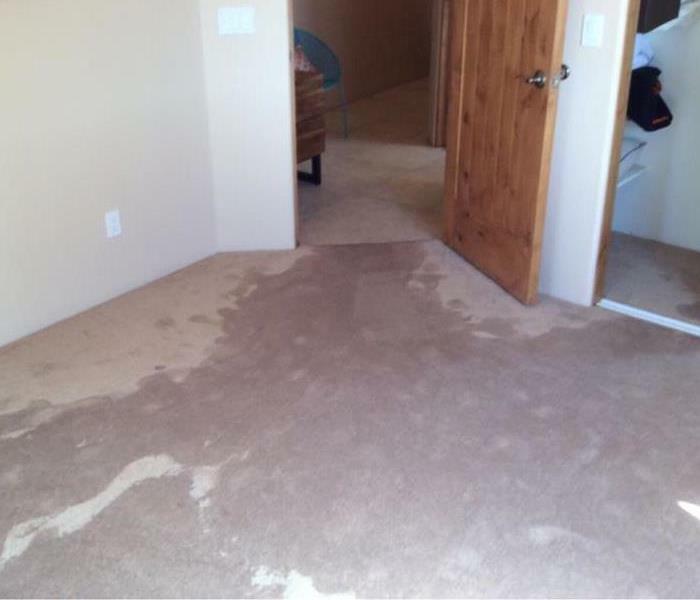 Water damage on your Peoria, AZ, property can be very disrupting and stressful for you and the people around you. 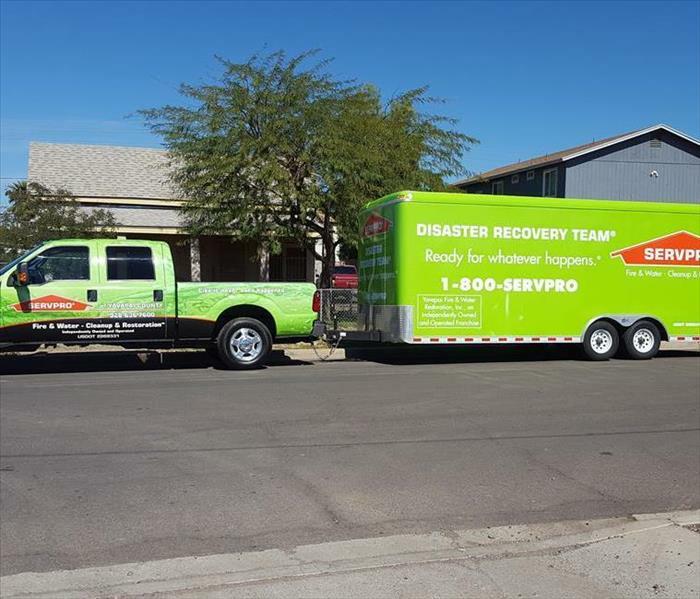 SERVPRO of Northwest Phoenix/Anthem has the team and equipment to quickly restore your home back to preloss conditions after a loss. 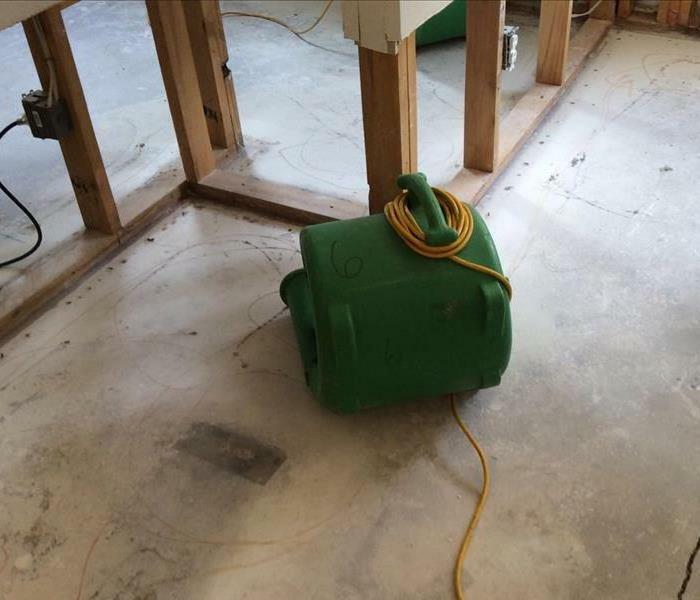 SERVPRO of Northwest Phoenix/Anthem is working hard on a residential water damage restoration after a home in Phoenix, AZ, had a large water loss. Take a second to check out these water damage tips. After receiving a call from a Phoenix, AZ, homeowner, our team quickly responded. 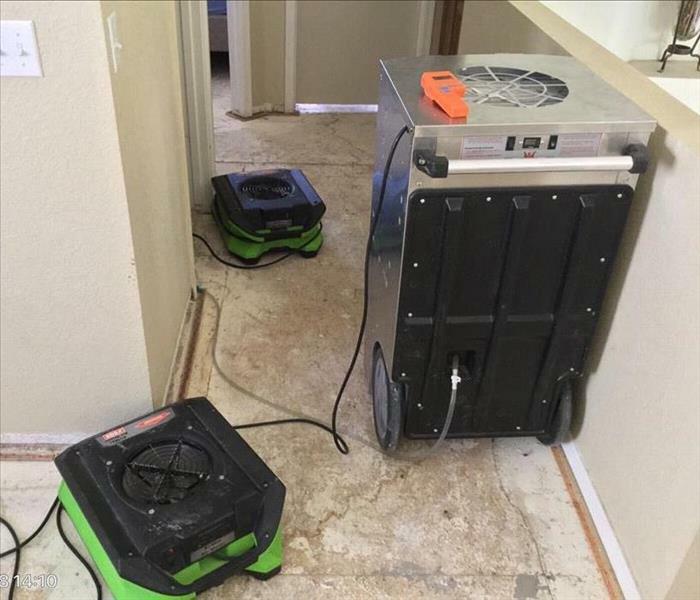 The SERVPRO of Northwest Phoenix/Anthem team is working hard to make this residential water damage "Like it never even happened." 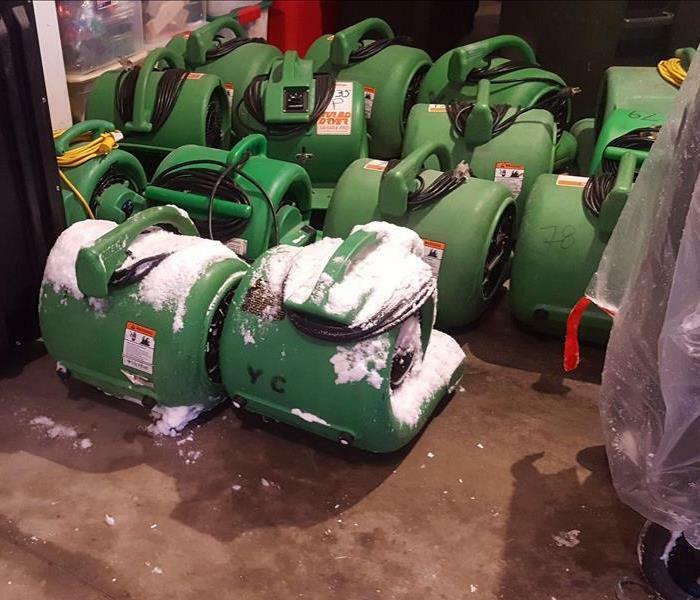 After the water and water damage materials have been removed, our SERVPRO of Northwest Phoenix/Anthem team will place the air movers in positions to ensure the quickest dry for your Phoenix, AZ, home or business. 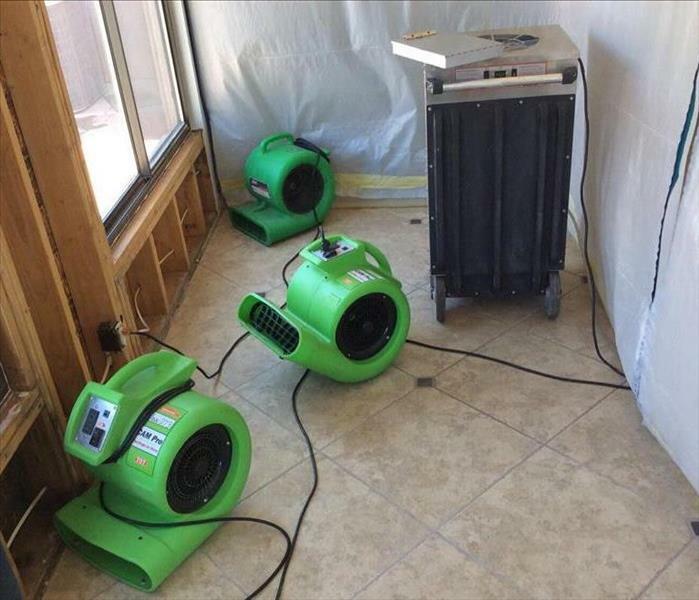 Our SERVPRO of Northwest Phoenix/Anthem team was called to a local home that had experienced a severe water loss. The water loss had caused extensive damage throughout the home. Our team quickly got to work to ensure the damage was "Like it never even happened." Pictured is our SERVPRO of Northwest Phoenix/Anthem team checking moisture levels after a residential water loss. 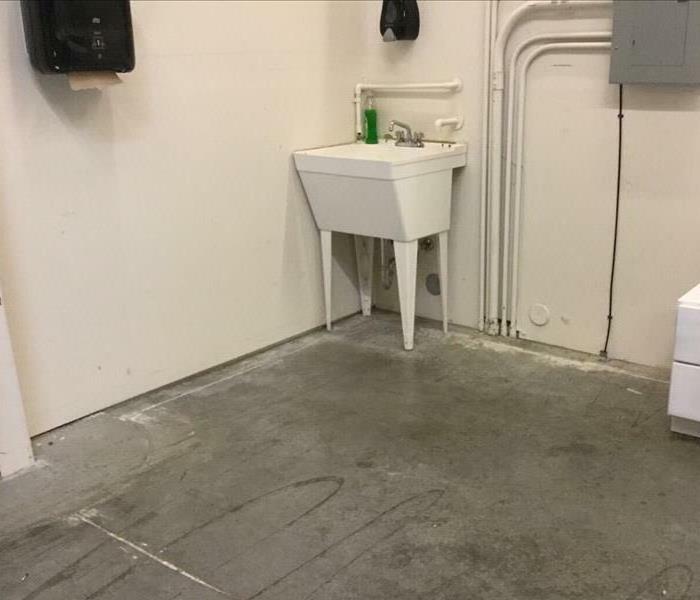 Our team has the expertise and advanced equipment to properly make any water damage "Like it never even happened." 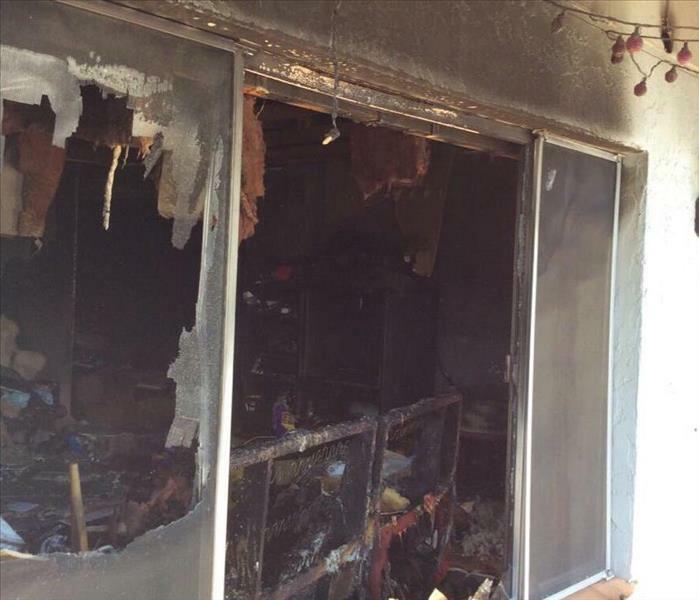 After a fire in a local home, our SERVPRO of Northwest Phoenix/Anthem team was called to action. Our team has the expertise and equipment to properly restore your home or business back to normal after a fire loss. 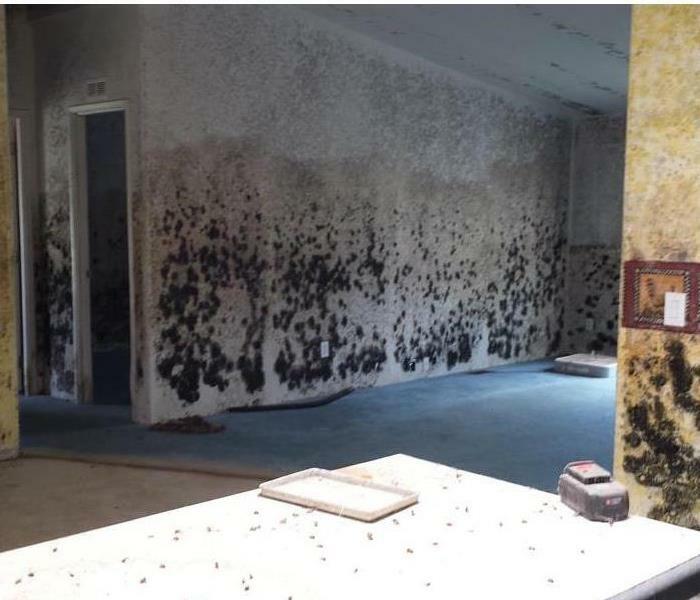 If you have discovered a mold infestation in your home or business, it is important to call our SERVPRO of Northwest Phoenix/Anthem team as quickly as possible. 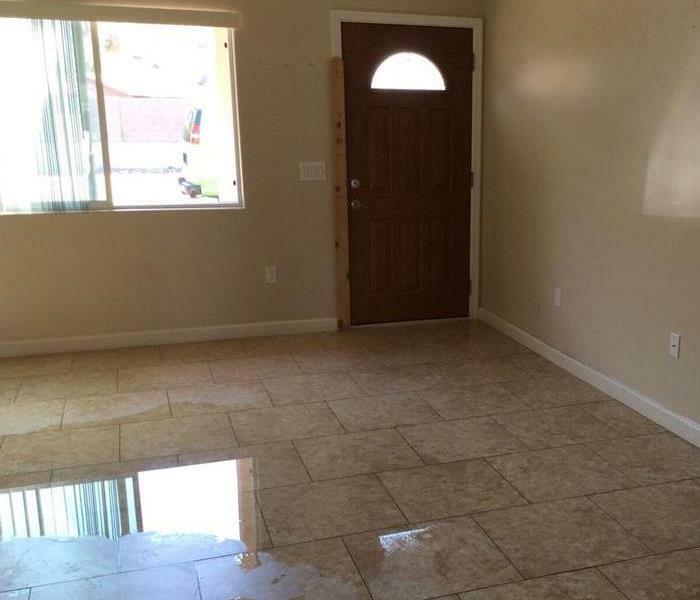 Water damage can affect floors differently. These floors are damaged from a slow water leak. If you experience water damage in your home or business, our SERVPRO of Northwest Phoenix/Anthem team can make your damage "Like it never even happened." 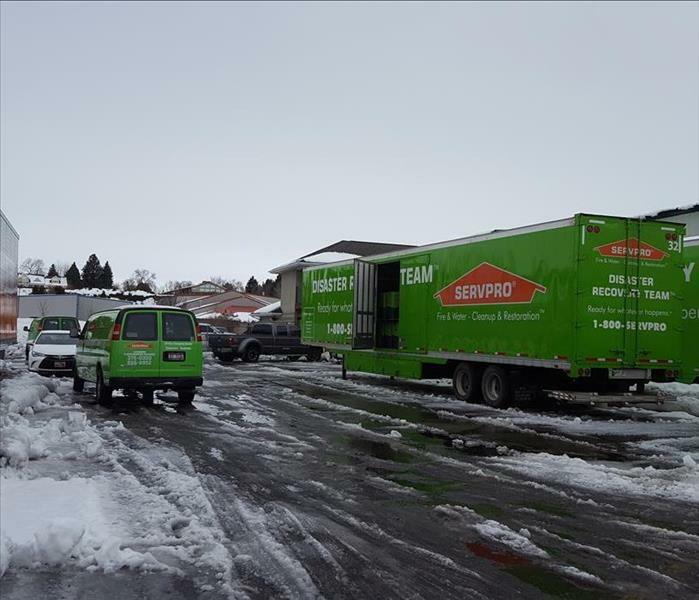 Our SERVPRO of Northwest Phoenix/Anthem team is dedicated to being Faster to Any Size Disaster. 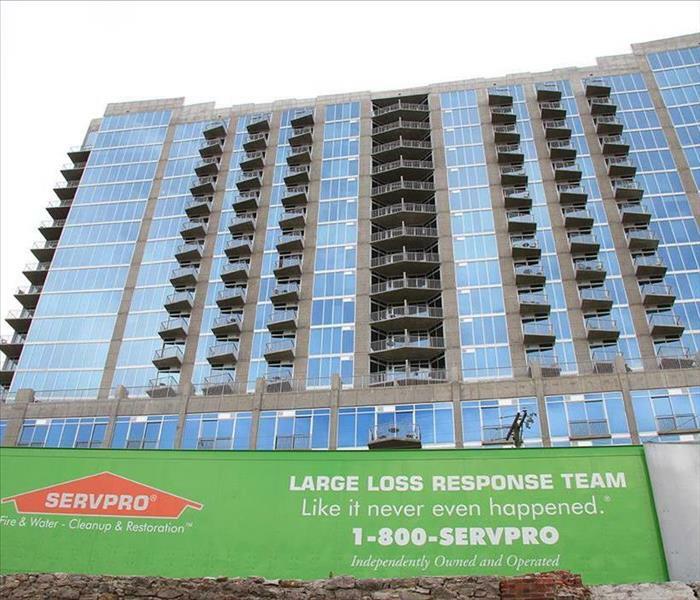 When disaster strikes in your home or business, make sure and call our SERVPRO team as quickly as possible! 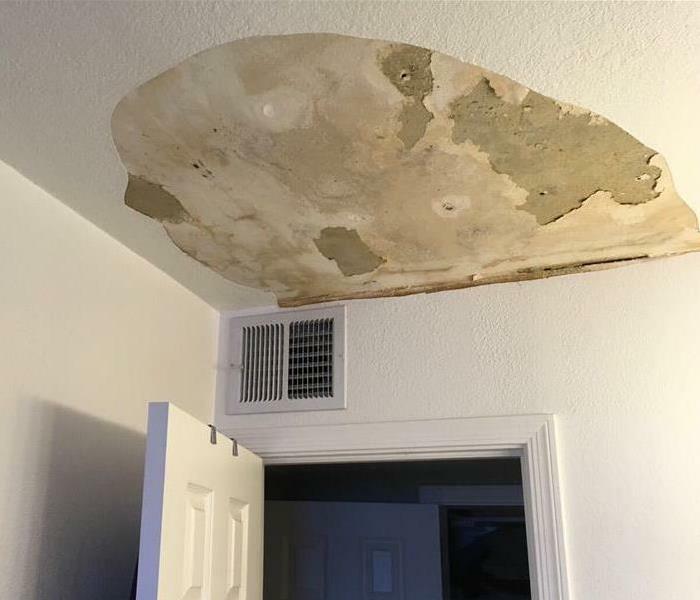 After a water loss such as this one, it is important to get a restoration team such as SERVPRO in your home as quickly as possible in order to minimize damage. 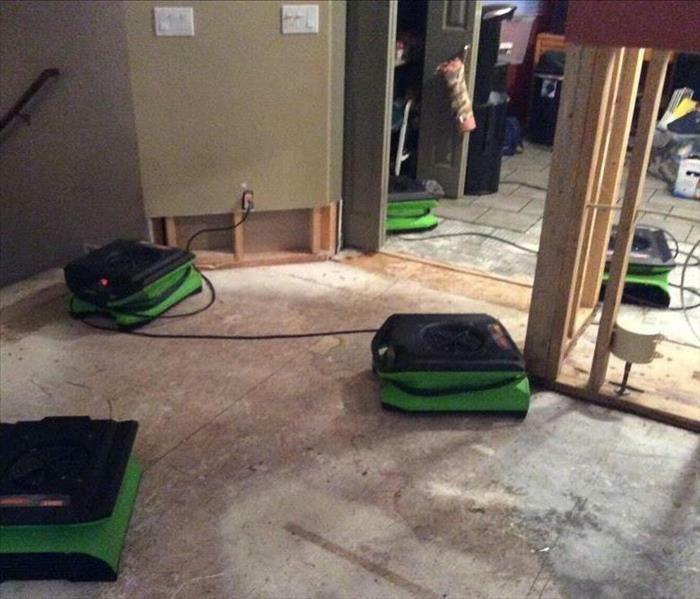 Water damage restoration and cleanup is no problem for our SERVPRO of Northwest Phoenix/Anthem team. Our SERVPRO of Northwest Phoenix/Anthem team is ready to respond to ANY size residential or commercial damage you might experience. We have the best team and equipment around to make your water, fire, or mold damage "Like it never even happened!" Water damage, if left untreated, can result in very costly damage repairs. 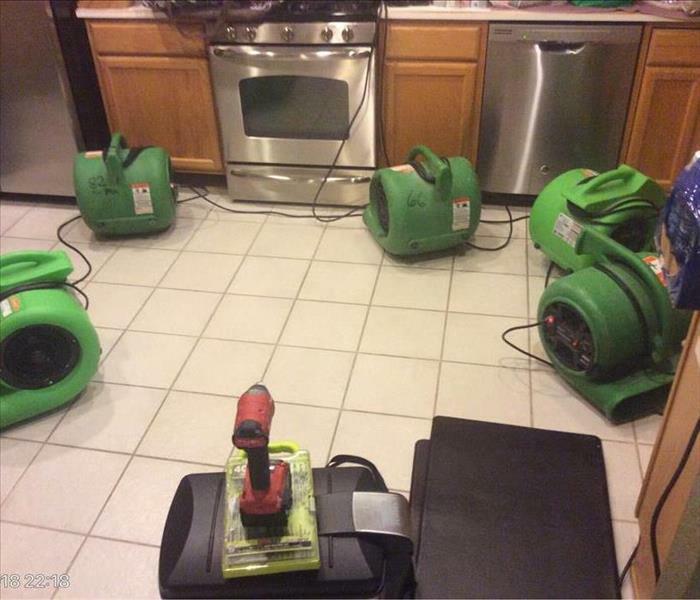 Our SERVPRO of Northwest Phoenix/ Anthem team is always on standby and ready to help make your residential water damage "Like it never even happened!" After receiving a call about a residential water loss, our SERVPRO of Northwest Phoenix / Anthem team quickly responded. 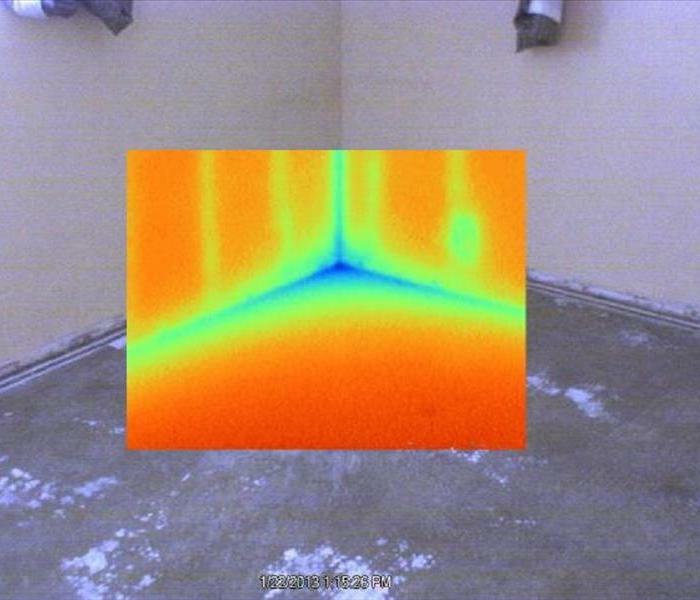 We use advanced thermal and infrared technology to locate moisture in walls, ceilings, and floors, to properly remove moisture and dry a property quickly and effectively. Can you spot the mold? Our SERVPRO of Northwest Phoenix team can, and we are Here to Help. If you discover mold growth in your home or business, don't hesitate and give our SERVPRO team a call. Fire damage restoration and cleanup is no problem for our SERVPRO of Northwest Phoenix/Anthem team. We understand that disasters never happen at a convenient time, therefore, our team is on standby 24/7/365 and ready to help make things "Like it never even happened." The home in this image suffered heavy mold after the waters from a flood receded. 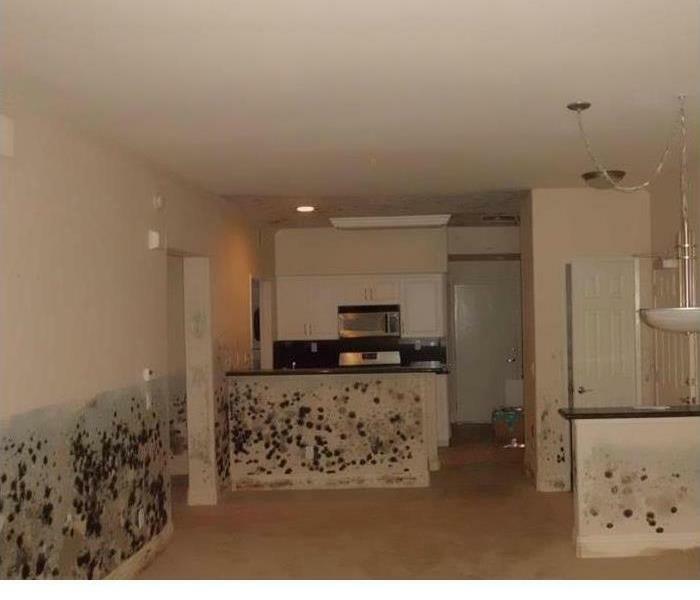 You can actually see the flood lines on the walls. If your home has damage like this, give us a call! 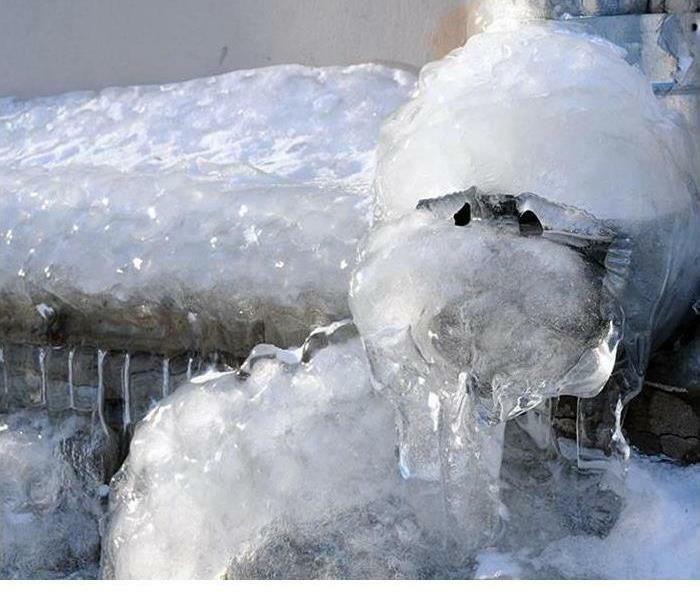 When winter weather strikes and temperatures dip below freezing, pipes like this can freeze and burst. When that happens water can pour out not only on the outside but on the inside of your home as well. As you can see from this image, there was a lot of water still pooled inside this home when we arrived to clean up the damage from the storm. If your home suffers storm damage like this, call us! 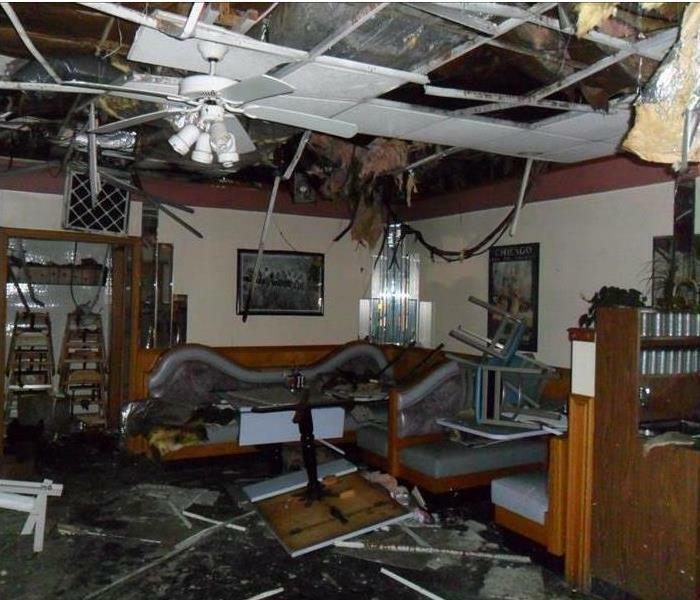 The restaurant pictured here suffered heavy damage due to a fire. As you can see, there was a lot of soot and debris leftover after the fire. If you have damage like this, give us a call! 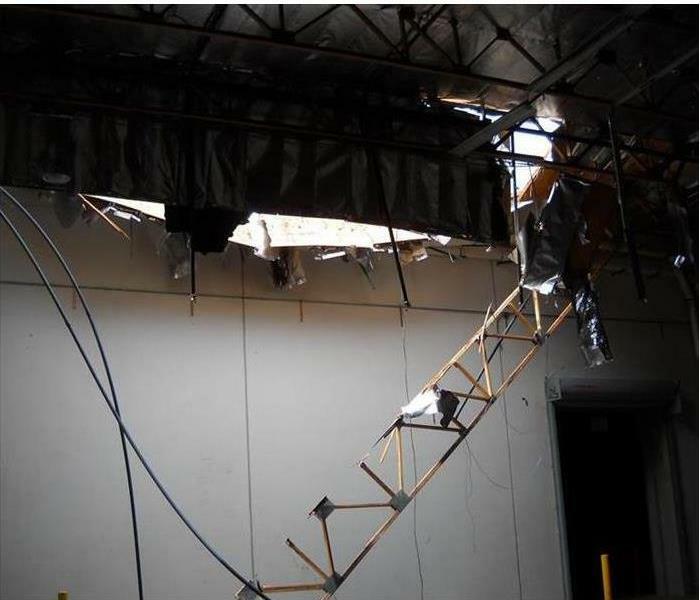 This facility suffered heavy damage from severe storms that impacted our area and our team was brought in to repair the damage. If your home or business suffers a storm loss, give us a call. 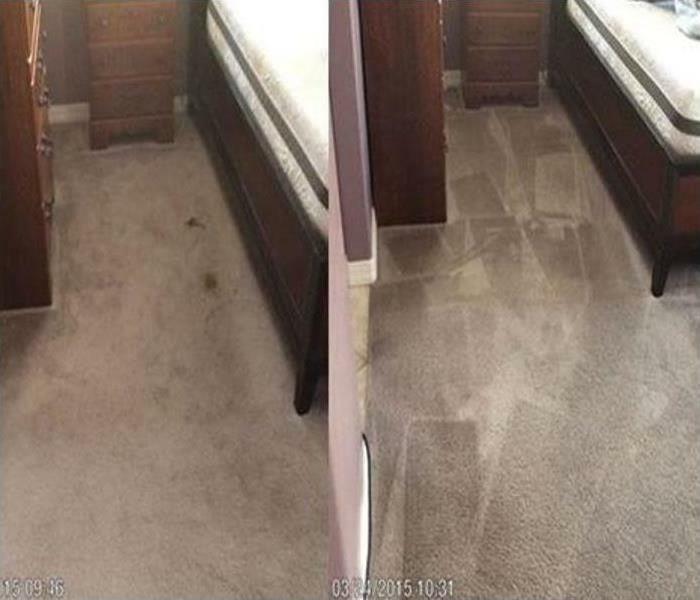 Our team doesn't just repair homes after disasters, we also do carpet cleaning. Regular cleaning can help to prolong the life of your carpet If your carpets are in need of cleaning, call SERVPRO. In this picture, you can see that this kitchen suffered a water loss that was due to a broken pipe under the kitchen sink. It caused flooding in the kitchen and as you can see there was still water in the kitchen when we arrived. This bedroom was flooded when the toilet in the adjacent bathroom malfunctioned while the owner was away, causing water to spill out of the bathroom into this bedroom. We pulled out the carpet and brought in fans to help get rid of the moisture. No matter what, just like this trailer says, we are ready for whatever happens. Just like the storm damaged home in this picture. We are ready at any time to help you get your home back after disaster strikes. Our storm team is dedicated to making sure that when disaster strikes, we are ready to help make it "Like it never even happened." If storms damage your home or business, we are only a call away! This facility was damaged when storms came through the area recently. We immediately put our team on the job and, as always, we delivered. The customer was very pleased that were able to make it "Like it never even happened." Here you see a cluster of fans that are being staged to dry up water in a home caused when part of the roof collapsed under the weight of snow, allowing the snow inside and causing water damage to parts of the home. This home had flooding caused by severe storms that recently affected the area. The storms caused flash flooding that then ran into the home. As you can see from this picture, there was still water pooled in the floor when we arrived. The utility room pictured here had a water loss caused by a leaking pipe at the sink. It caused water to pool in the floor and damage the tile that had previously been installed here. This office had a water loss due to a broken pipe that flooded the facility. Here you can see we have removed the lower portion of drywall and placed a fan to help dry out the wall. 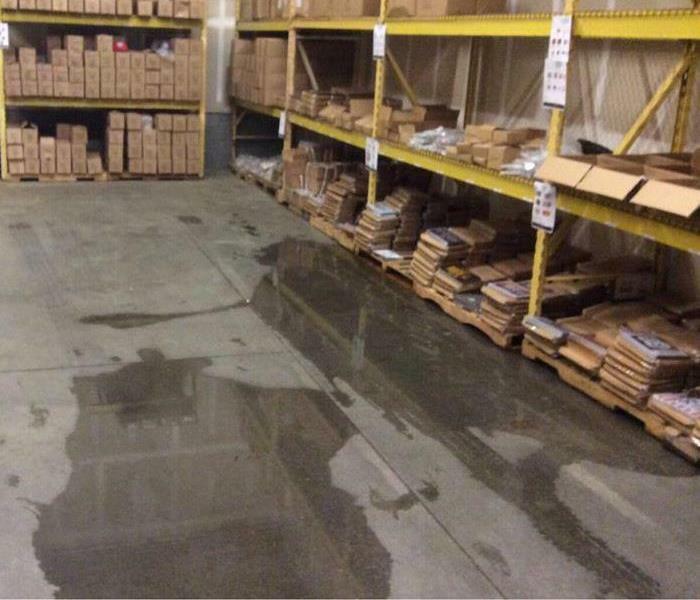 The warehouse in this picture had a serious water loss situation due to a fire suppression system malfunction. As you can see here, there was still some water standing in the floor when we arrived on the scene. This facility had a large water loss situation and called us to help. As you can see, we put equipment in place and went right to work removing the water and repairing all the damage it caused. 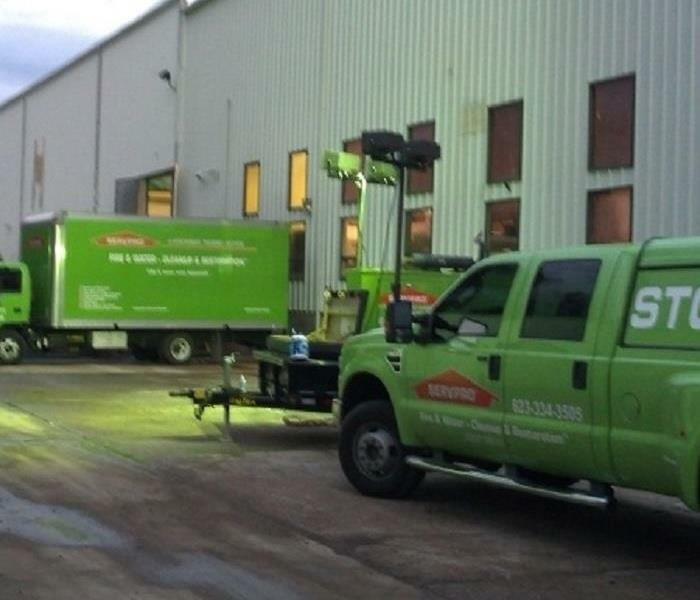 This commercial facility was a big job, but SERVPRO is always ready to handle the biggest jobs. If you have a commercial loss and need the job done quickly and correctly, don't hesitate to give us a call! This business had a water loss situation and told us they needed to be back up and running as soon as possible. We sent our team out and managed to get the owner back into his building in less time than he even expected. The home in this picture had severe water damage that affected the floors and the walls. As you can see, we removed the flooring and the lower part of the drywall before beginning the cleanup process. No matter how serious your mold loss situation, we will always be equipped to handle it. 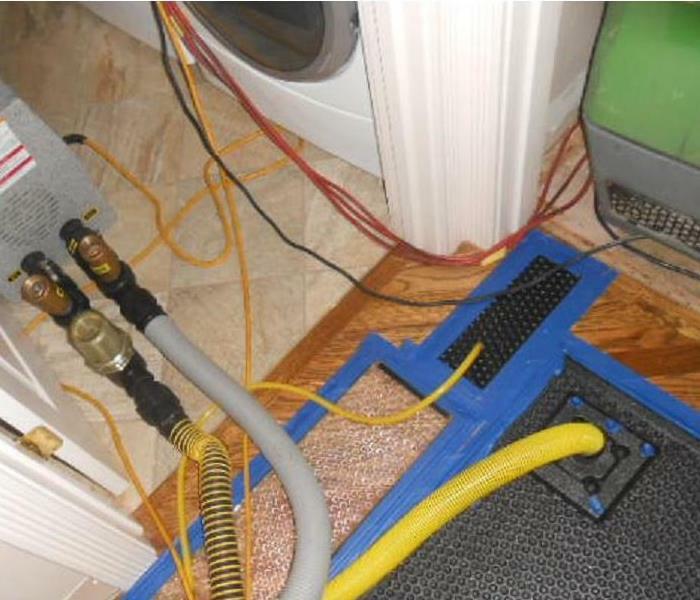 In this picture, you can see just a little of the equipment we use to make sure your mold problems go away! This home had a fire that spread throughout the house, leaving soot everywhere as you can see in this bathtub. 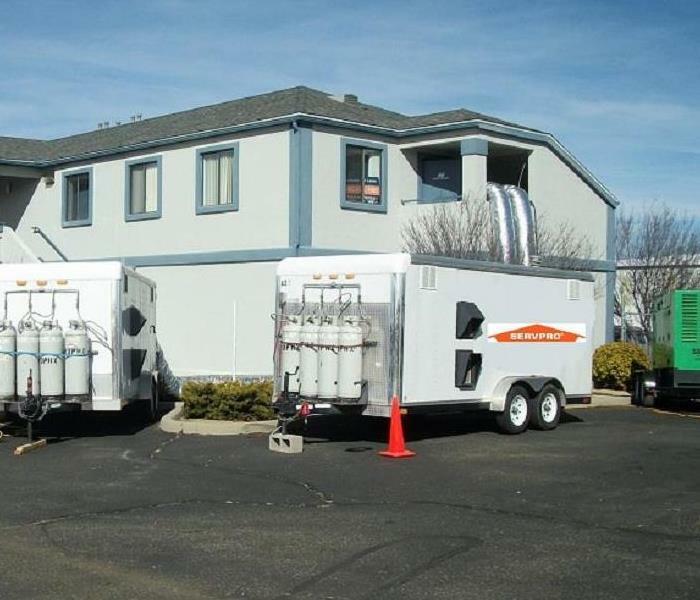 Fire remediation and soot removal are two of the things we do extremely well. If you have a fire loss like this, call us! 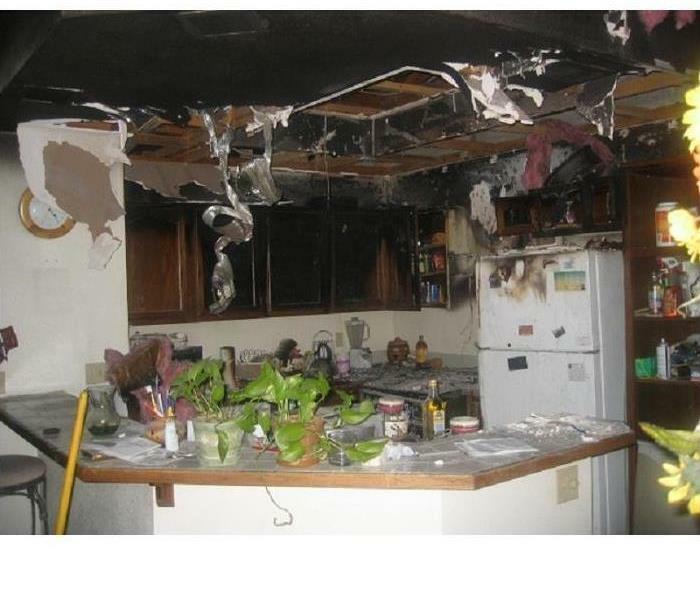 This kitchen suffered a serious fire loss that started when something caught fire on the stove. The extent of the damage was severe, as you can see from the picture. We were able to quickly get this kitchen back into shape though! 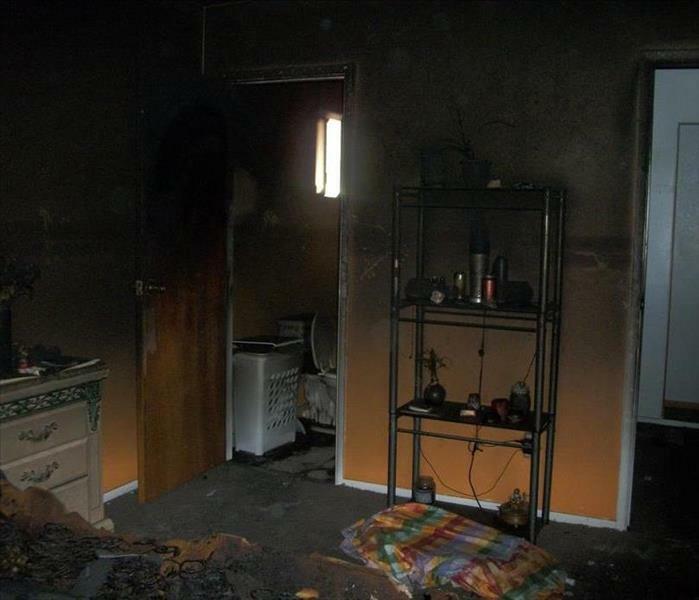 This kitchen was damaged by a fire that started when an item was left on a burner unattended. The fire was quickly contained, but as you can see, still managed to do quite a bit of damage. 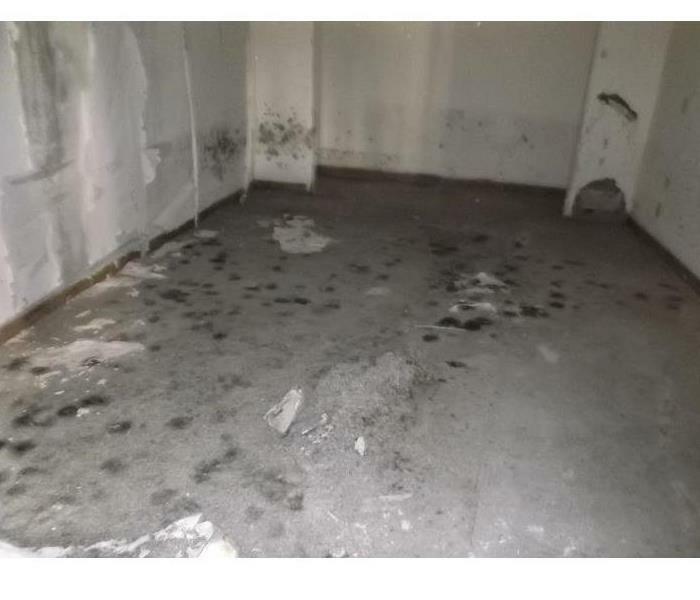 In this picture, you can see a facility that has suffered a serious fire loss. Our team of experts are trained and equipped to handle these situations and are ready to help you at a moments notice. This home had a fire that was quickly contained but still did a significant amount of damage. Notice the charring on the wood in this picture. Our team did a great job of mitigating the damage. 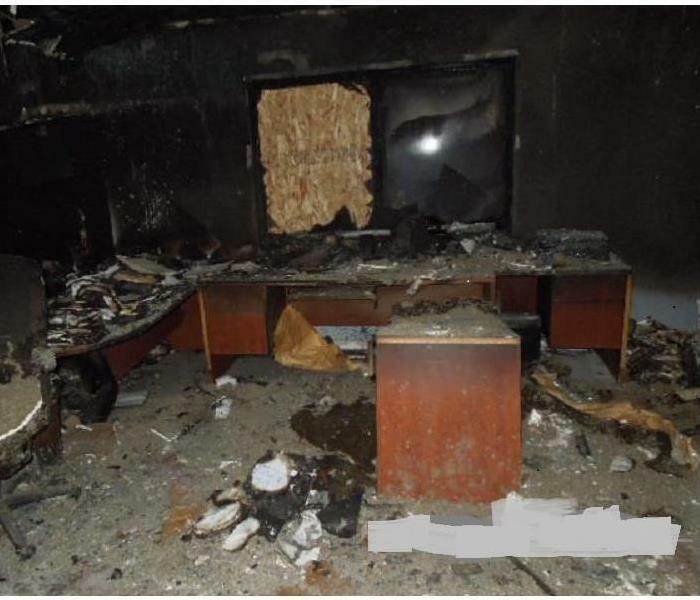 The office area of this home was severely damaged by a fire that started in the kitchen and swept through the entire house. Our crew stepped in and cleaned up the damage and brought this home back to it's former glory! No matter how big the job looks, we are always prepared to handle it. 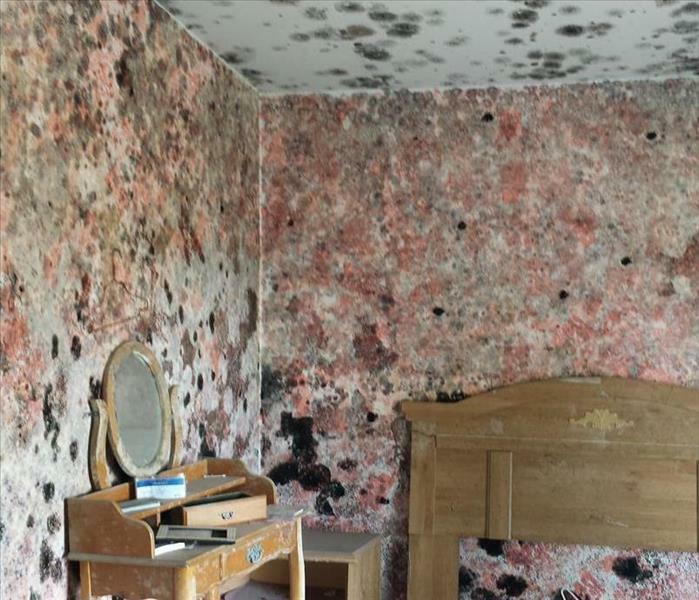 If you have a mold loss like the one in this picture, give us a call and we will be right there! The basement pictured here suffered a serious mold loss due to moisture left over when a pipe burst and repairs were made without addressing the excess moisture. Our excellent team of trained professionals made short work of this repair! With the large amount of vacation homes in the Phoenix Area, mold remediation projects are more frequent then some realize. 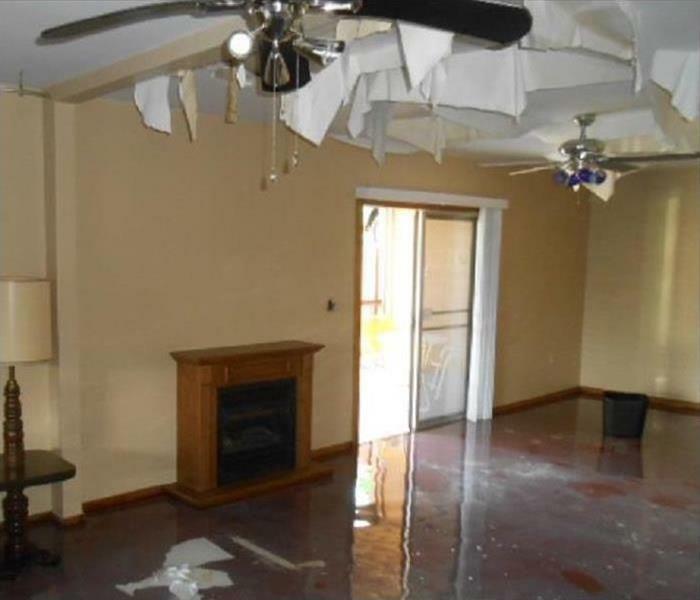 Don't let your water damage get out of hand and take over your home. Be prepared have SERVPRO on speed dial!! 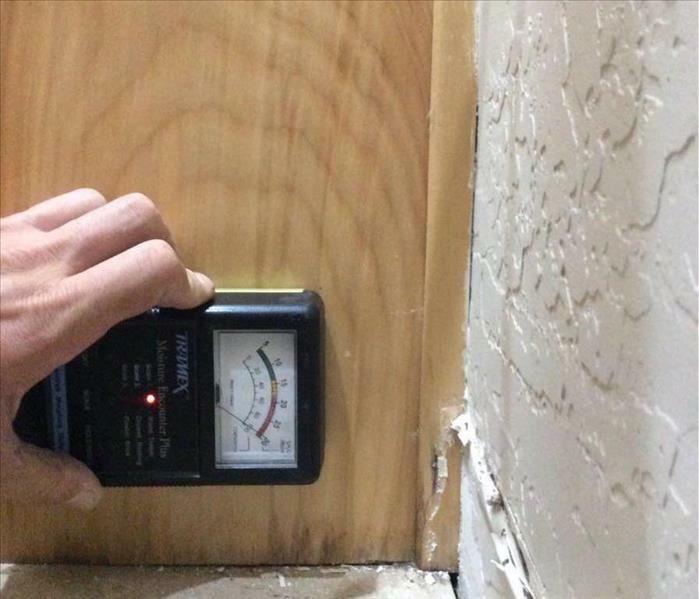 We use the latest technology to locate moisture in buildings. When the water mitigation project is complete your property will be scanned with a thermal imaging camera, at no additional charge, to document that the property was restored properly. Don't just trust anyone with your water damage cleanup! This customer was shocked by the amount of water that migrated through his building within a few hours. A 1/2 inch water line broke on the 3rd floor affecting 25,000 sq. ft. and all 3 levels. 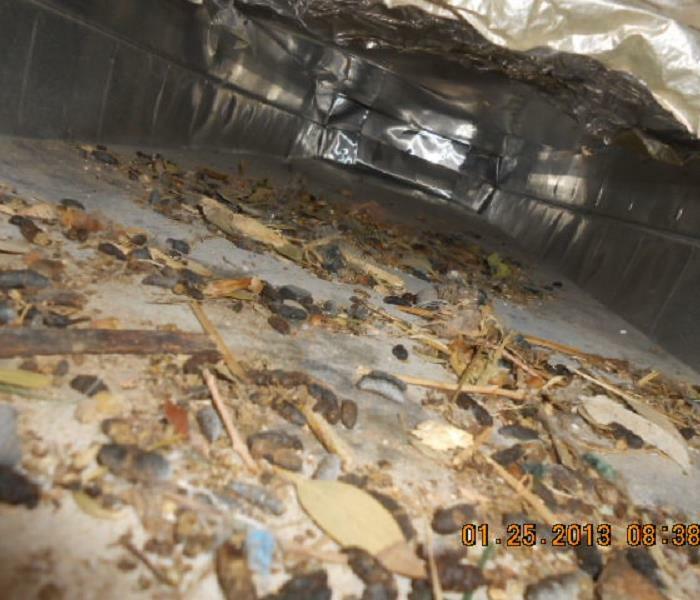 Here is an example of what may be lurking in your ductwork. Call SERVPRO of Northwest Phoenix/Anthem now to set up a free estimate for duct cleaning. In the Phoenix area, we tend to get large amount of rain in a few minutes. This has been known as out monsoon season. While you can prep your home or business, sometimes mother nature just has other plans. If you find your self in a situation where flood water is entering your home or business. Call SERVPRO of Northwest Phoenix/Anthem to help. 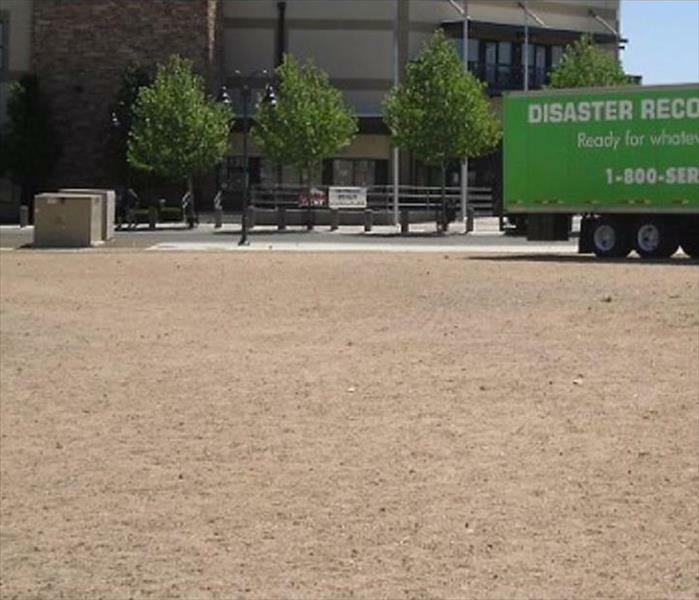 We recently sponsored an event for the PBR Rodeo with the 1-800-SERVPRO trailer. 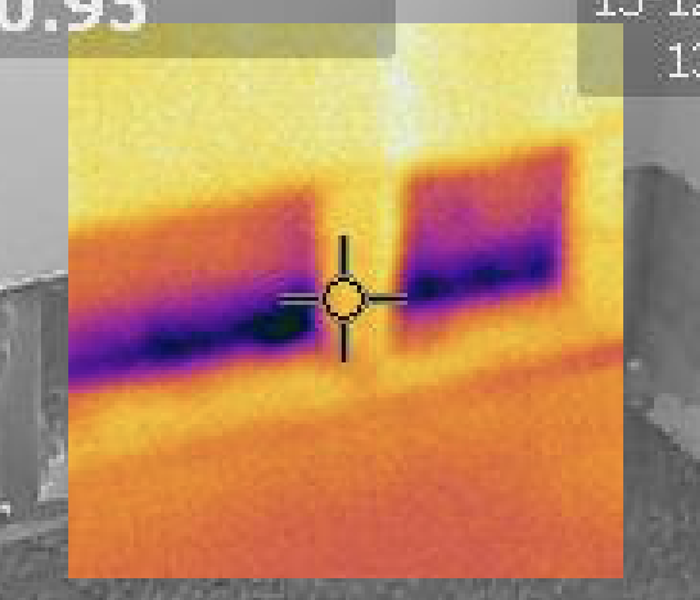 With the restoration industry demanding more documentation, SERVPRO of Northwest Phoenix/Anthem uses thermal imaging to document water loss project completion. 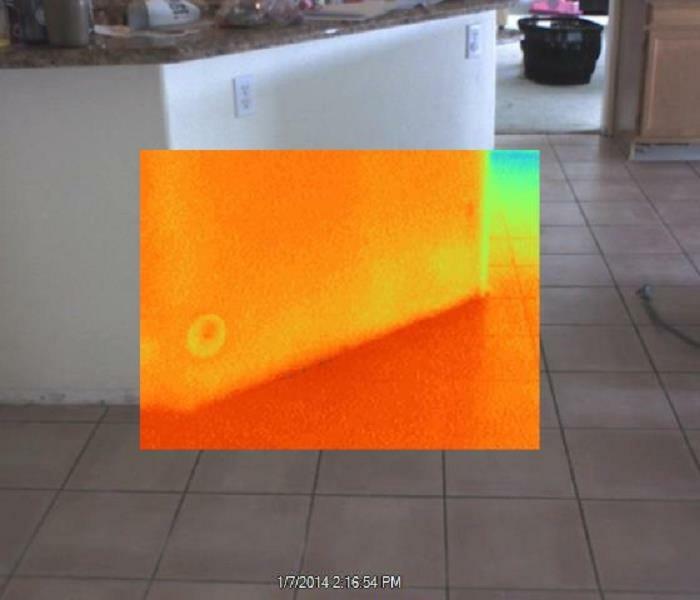 In addition, SERVPRO of Northwest Phoenix/Anthem also using the thermal imaging camera to help locate hard to find areas that may be wet and show customers area that they may not have were wet. Call SERVPRO of Northwest Phoenix/Anthem for all of your water extraction, structure drying and advanced water location services. This customer had mold damage from a broken pipe and the house was for sale. 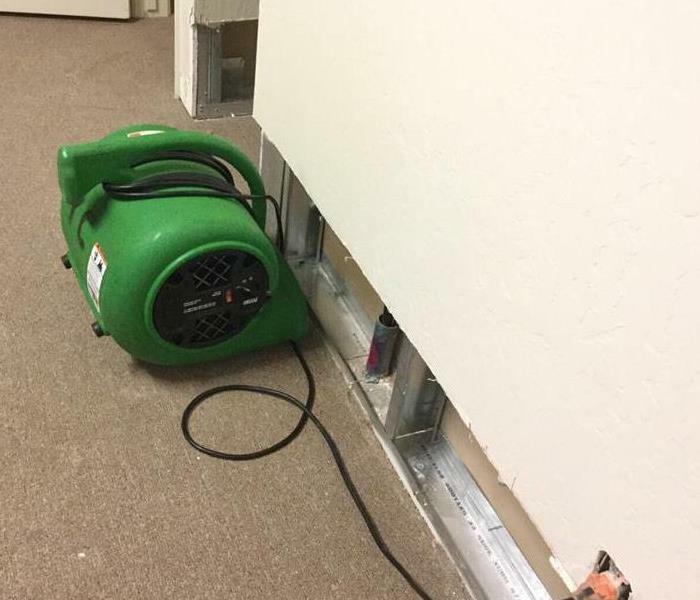 SERVPRO of Northwest Phoenix/Anthem preformed the mitigation and repairs. 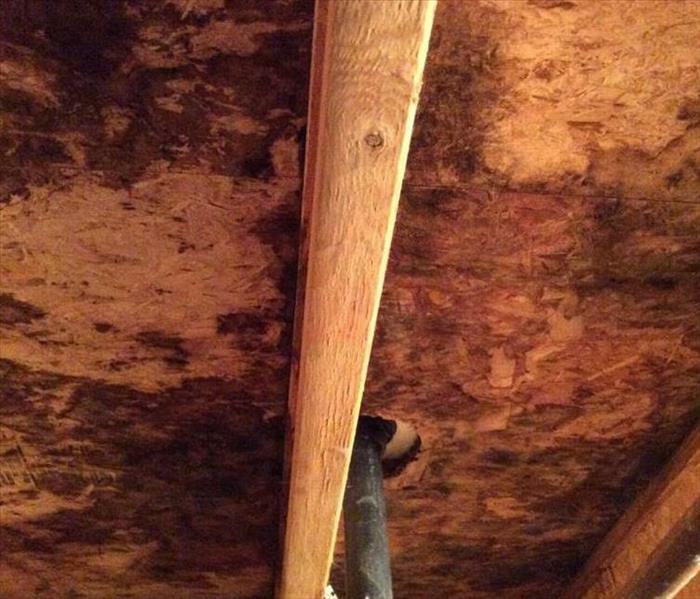 Any structure has the potential for mold growth if left unattended after water damage. Call us now for to schedule your estimate or to being emergency services.